Black agate gemstones, like all black stones, is a grounding and protective crystal. It gives a calming peace that helps those during a period of bereavement. Black Agate gives inner strength to move on and is also very helpful in keeping the peace in stressful households. We normally produce many colors agate slabs, black agate gemstones, if you prefer any other colors, you can contact us for details. Agate is full of bright and fantastic colors and atmosphere. 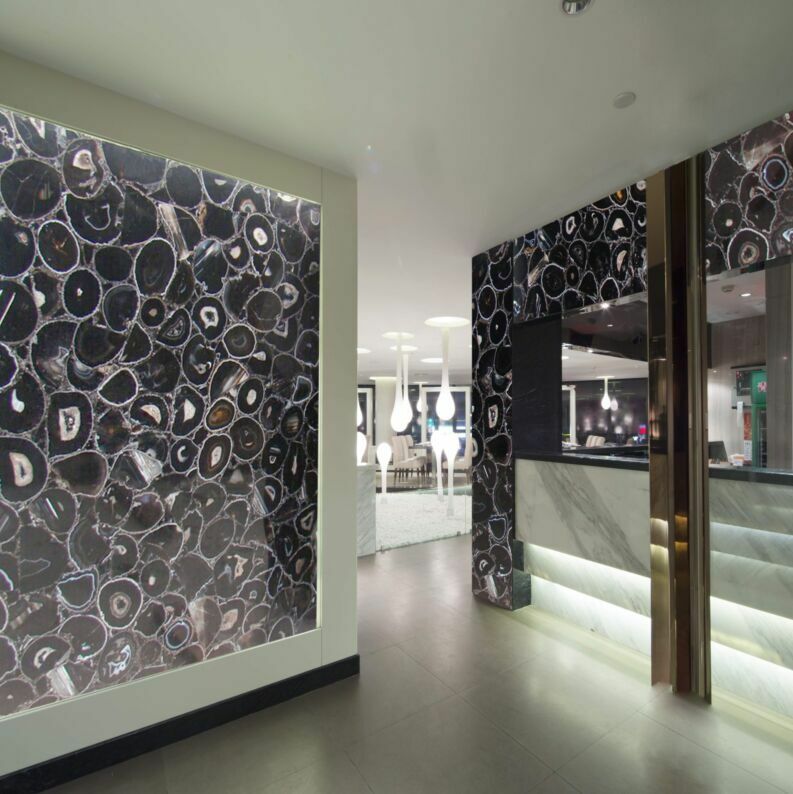 This nature black agate with white lines in the middle is suitable for home walls and kitchen countertops. 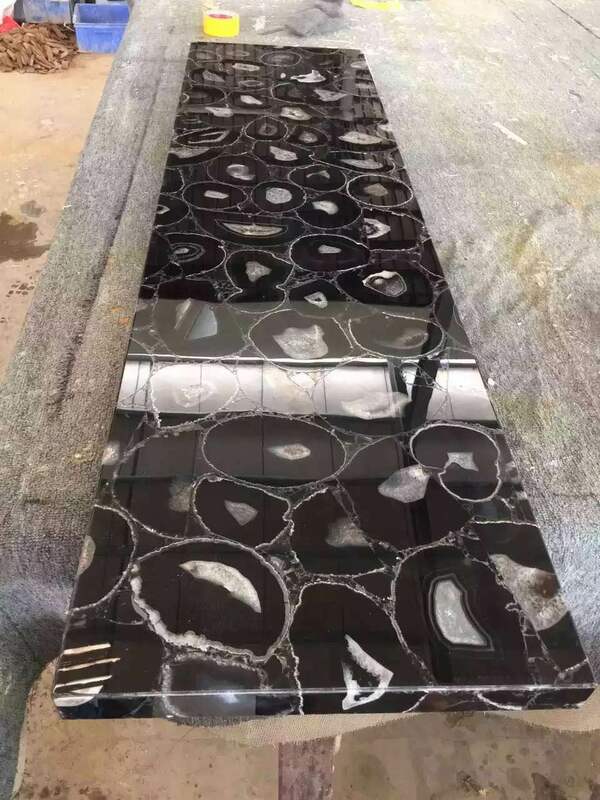 Agate stone slabs series -- Black agate stone slab, surface finish is polished, we offer many kinds of colors: blue , black ,yellow, red, purple ect. 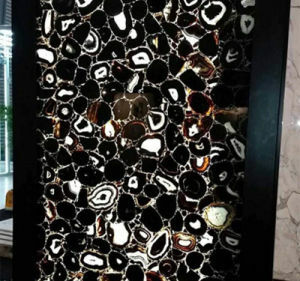 Slab size normally 240*120*2cm,thickness is 2cm (normally 0.5cm black agate +1.5cm natural commercial stone or artificial stone/glass/Acrylic); max size can be 300*180cm.Mainly being applicated like wall tiles, floor tiles, table top, countertop-..
For black agate price, please consult with HR STONE which has black agate slabs for sale. Agate stone slab with various color, welcome to contact us for details. Looking for ideal Black Agate Stone Manufacturer & supplier ? We have a wide selection at great prices to help you get creative. All the Black Agate Price are quality guaranteed. We are China Origin Factory of Black Agate Gemstones. If you have any question, please feel free to contact us.